What does it really mean to think or to speak “like a Christian”? Does it mean to be able to make inside spiritual jokes, or to speak bluntly about the human situation? Does it mean to think only from individual experience, or to have a view of the world? Does it mean always to have tidy answers, or to be willing to speak unflinchingly about difficult questions? Does it mean presenting oneself as the self-satisfied fount of all knowledge, or as an earnest learner, a work-in-progress still growing into new answers? Here are two sets of song lyrics from the same year. One song is nominally Christian and the other is not. Can you guess which is which? Waiting for the day when you’ll become your Savior’s wine? Everywhere that man sets foot. Throwing tidbits to the crowd then blowing up the place. What makes one or the other particularly of “Christian” value? Which is serious and which is merely saccharine? Which one implies that the biblical view of things is true and urgent, and which is just playing around with it? Which is of greater utility for a Christian? Which stands to edify? Which might empower a person toward better evangelism? And which seems more contemptuous of spiritual things? Which of the above sentiments is truly, functionally “Christian”? Maybe a good test is this: if you had to use one of the above songs as the opener for a serious dialogue about Christianity, which would you choose? Personally, I’d choose the second one. Okay, it’s a little cynical; but it seems to me an authentic expression of anxiety about some of the worst effects of sin on the worldly situation, and it culminates with a frank confession of the inadequacy of human nature. And scripture agrees: the world is a mess, bloodshed is everywhere, and nothing in natural human experience provides an answer. Hey, I could start a sermon with that. But for the life of me, I can’t think of any way to salvage the first song. If the world worked the way it’s supposed to, perhaps Christians would always speak “Christianly” — that is, treating spiritual issues intelligently, with “gentleness and respect”. Likewise, if things were as we might expect, the unbelieving world would always be clueless about spiritual realities. But neither is true. Sometimes talk that passes as Christian is flippantly familiar, little more than an empty distraction, a hindrance to thought and an impediment to reverence. On the other hand, sometimes discussion among unbelievers speaks eloquently of real spiritual needs. One of the keys to my personal commitment to the Lord was the writings of Thomas Hardy, the famous agnostic. I found him honest in his assessment of the state of the world, and his tormented search for meaning in a senseless universe gave me a powerful longing for God. 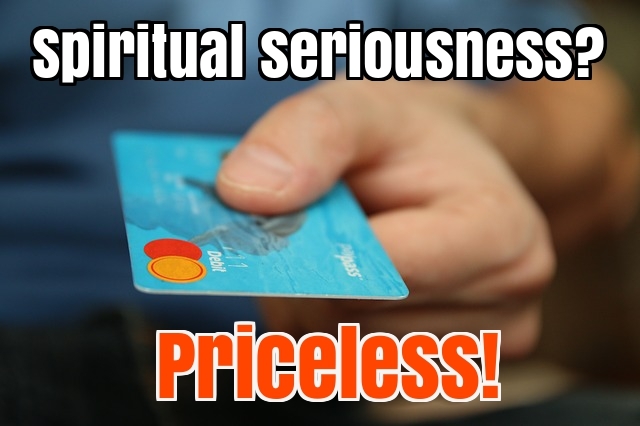 Spiritual seriousness is priceless … wherever it is found. As Christians, we have to be careful to associate ourselves with the right kind of conversation. When we see spiritual issues being treated foolishly we should shy away from participating, even when the speakers are professing Christians. On the other hand, I think we should have our ears sharply attuned to those situations in which unbelievers are handling spiritual issues honestly and truthfully. And be quick to join the discussion.